Every year my dad goes to a train show; it is not something my mother and I enjoy, but my son LOVES it… so we go. While we were looking around I noticed a small stand with chocolates. We passed the first time, but promised ourselves we would return before we left. And we did. You would have too if you seen them! Plus it didn’t help my will power any that Beth Ann ( owner @ Goodies Chocolates) had free samples sitting out. After purchasing some of these goodies I asked Beth Ann if she cared if I did a short review on my blog; she accepted my offer. She was so pleasant to deal with, and seemed to have a great connection with her customers. She was also very knowledgeable about her chocolates. While listening to her talk with some customers, I over heard her talk about the shelf life of the different chocolates and how to store them; I thought that was so cool! 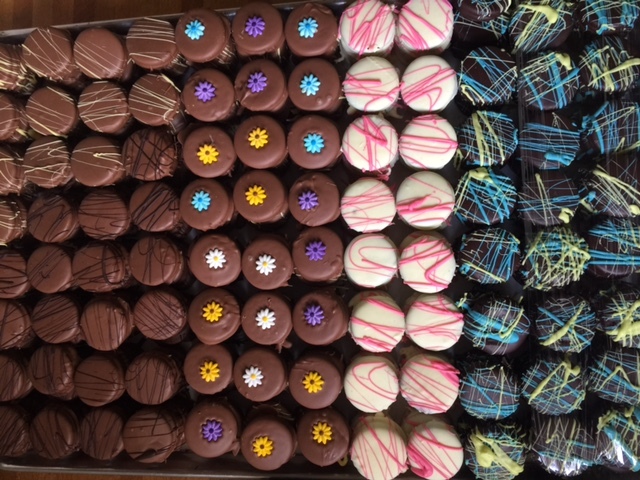 Some of her chocolates can be stored for up to 6 months at room temperature! As awesome as that sounded, I quickly reminded myself that this information was un-benificial to me; because I knew these delicious chocolates would be gone before the week was over… and they were. 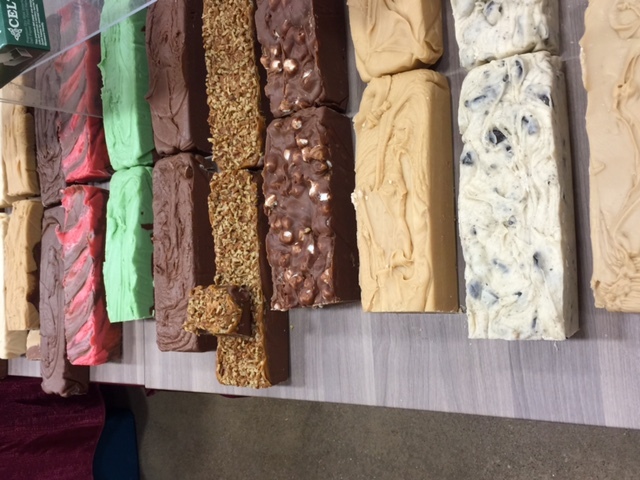 I also noticed some very interesting flavor combos such as Salted Caramel malted milk balls and Penuche fudge. I am not a fan of Malted Milk Balls but still wanted to give them a try. The salted caramel coating was amazing but once I got a bite of the malted milk ball I was quickly reminded of how much I do not like them.. so I just ate the outer covering; it was too good not to! Now let’s talk about this penuche fudge.. it was out of this world good! I heard Beth Ann tell someone that it tasted like a Werthers original and she was right on; that’s EXACTLY what it tasted like. I also had to purchase my all time FAVORITE, a DARK chocolate covered rice crispy treat. That, however, did not survive the ride home. YUM. 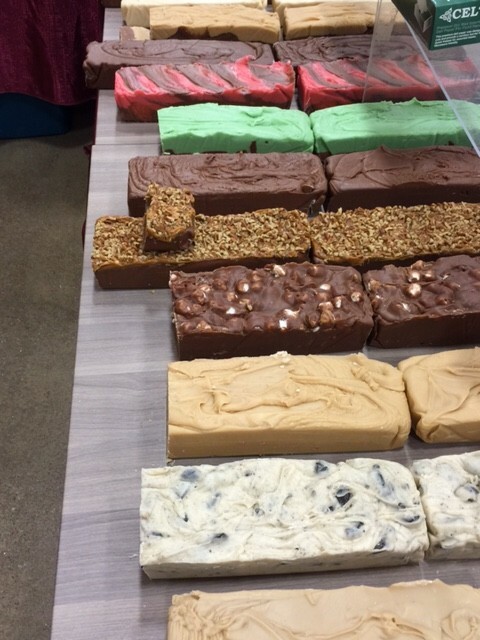 Look at all this yummy fudge! 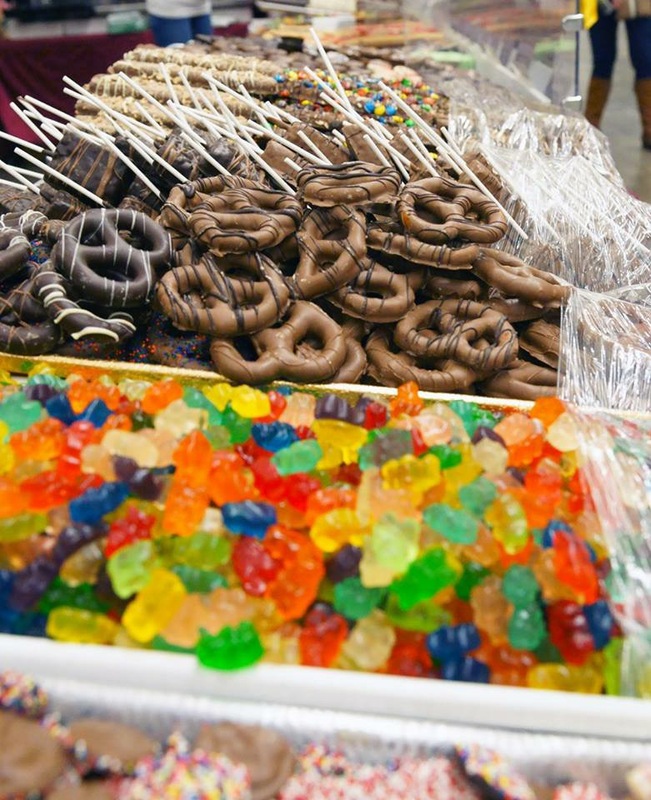 With over 18 different flavors they have Such a great variety!